Every year I write up my fantasy strategy going into the draft. I learn something every year and this year is no different when it comes to how I will be approaching my drafts this year. 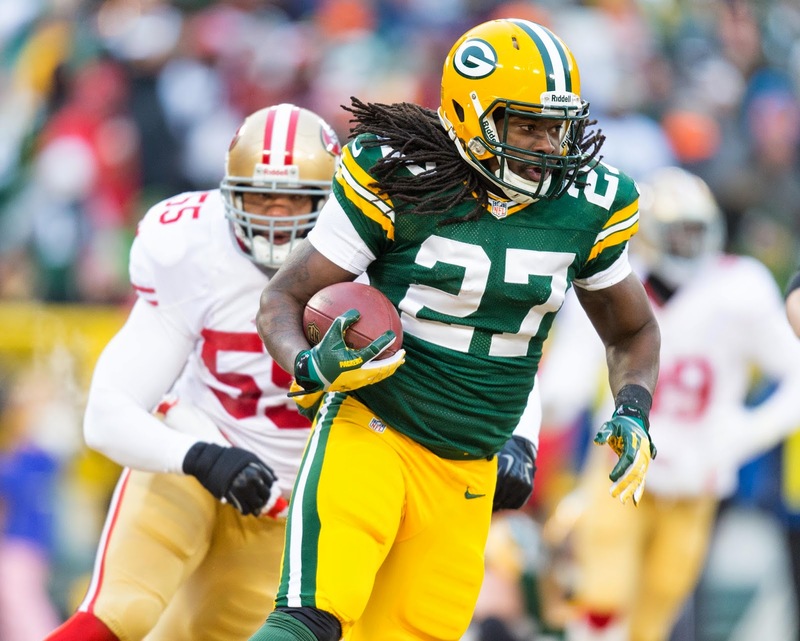 Round 1: I always like to target a top 5 RB in the first round (Jamaal Charles, Le'Veon Bell, Adrian Peterson, Marshawn Lynch and Eddie Lacy) if those are gone then I would go for Aaron Rodgers or Andrew Luck. Recently I wrote an article about drafting a top QB in round one. For 2015 I am going to draft a Top QB in round one, but if you are not on-board with that plan then go with a RB. Round 2: I am recommending a WR in Round 2 Calvin Johnson, Dez Bryant, Demaryius Thomas, Antonio Bryant, Odell Beckham or AJ Green as a WR you take in round 2, some of them will be drafted already, but if you want risk it a bit more then a running back in round 2 is really an interesting choice due to the fact that running back is really shallow this year. Give me Marshawn Lynch, Le'Veon Bell, Alfred Morris or Demarco Murray. 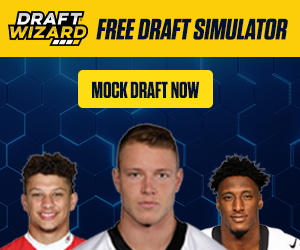 If you are in a league that requires a tight-end and Jimmy Graham or Rob Gronkowski is there in round 2, then they will give you a huge competitive advantage. If your league doesn't require a tight-end then stick with a running back or wide receiver. Round 3: In round 3 it's time for a wide receiver if you don't have one already. Most likely you will be looking at Jordy Nelson, Antonio Brown, Randall Cobb, Kelvin Benjamin or Emmanuel Sanders. Round 4: Round 4 is more of the same at wide receiver or running back and I would target one of those in round 3 if they are still around and if all are gone then I would target DeAndre Hopkins, Alshon Jeffery, Jordan Matthews, TY Hilton, Bradnin Cooks, or Keenan Allen. Round 5: Round 5 belongs to a quarterback if you didn't get one in round 1. Give me Matt Ryan, Big Ben, or Phillip Rivers. Round 6: If you have to have a tight-end in your league then round 6 would be time to target Michael Bennett, Greg Olsen, Travis Kelce, Jason Witten and if all those are gone then Zach Ertz would do too. If you don't have to have a tight-end then a running back is where you need to focus due to lack of depth at running back (Alfred Morris, Lamar Miller, Latavius Murray, Melvin Gordon, Carlos Hyde, or Chris Ivory). Round 7: At this point you should have a quarterback, two running backs, two wide receivers or a tight end instead of two running backs. If you drafted a tight end already then go for a running back from the list on round 6. If you have three running backs then go for another wide receiver in this round (Desean Jackson, Julian Edelman, Nelson Agholor, Martavis Bryant, OR a better WR from my Draft Guide, just guessing many top WR's will be gone). Round 9: Round 9 should go to the wide receiver like Brandon LaFell, Allen Robinson, Charles Johnson, Victor Cruz, or Torrey Smith. Round 10: Round 10 goes to your back-up quaterback which for me this year is Carson Palmer unless a top 15 ranked quarterback is available and if Palmer is gone then Eli Manning who is just as good as Palmer this year. Round 11: Round 11 can be your backup tight-end if you have to start tight-end or another wide receiver or running back. Round 12: Typically a good time to target a team defense and a top 5 team defense typically can be had in round 12. Round 13 and 14: Time to go after sleepers like Justin Hunter, Stevie Johnson, or Maquess Wilson or start going after hand-cuffs to your drafted running backs. It's important to target backup running backs to the running backs you drafted because if your starter goes down then you will be ready. Round 15: Always save your kicker for the last round; it's never a good idea to reach early and most likely a top 10 kicker will be there based on your draft guide.